Updated: now with more photos! I see it’s fair season once again. That explains why local newspapers and my Google Reader are filled to overflowing with announcements about rabbit tattoo clinics, has-been-bands-from-the-70’s-with-only-one-remaining-original-member on the main stage, and of course – things getting deep fried. Which means it’s time for my annual fair post. (Oops. My apologies. The has-been bands aren’t appearing at fairs – they’re in downtown Albany). Last year as you may know, we have erected a 240′ x 120′ horse arena cover. Since September of last year we have replaced all of our original footing and all the horse shows that have used it are more than satisfied. At the Bangor State Fair in Maine, escape artist Michael Griffin has issued a challenge – anyone who can tie him up with rope in a way that he can’t escape will walk home with $1000. The Ohio State Fair‘s traditional butter sculpture of a cow and calf will be accompanied by a greasy tribute to the now-defunct Space Shuttle program: a floating astronaut and an intricately-carved space shuttle cockpit. The Iowa State Fair (“Nothing Compares”) also has a butter sculpture of a cow – cleverly named The Butter Cow – but this year, they’re adding an altruistic twist: a can sculpture to benefit the food insecure (I think they meant to say “hungry”). Thousands of canned goods will be used to create replicas of said Butter Cow, a milk carton, and a market hog, all frolicking in a canny field of corn and soybeans. Sorry, no picture yet – the Iowa State Fair doesn’t open til August 11. 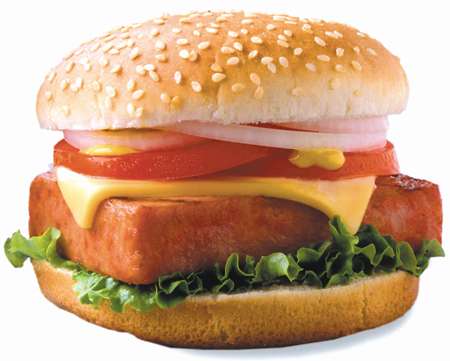 Our very own Great New York State Fair has announced that among its food offerings this year will be a diet-crippling burger that tips the scales at 1500 calories. 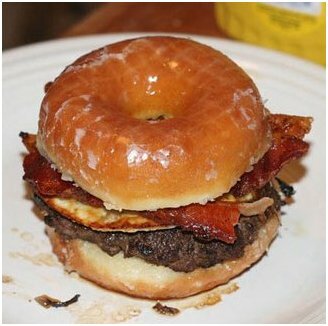 The gut-busting “Big Kahuna Donut Burger” is a half-pound patty topped with cheese, bacon, lettuce, tomato, and onions, all sandwiched between two grilled glazed donuts. Yawn. We’ve seen these before (here, here and here). 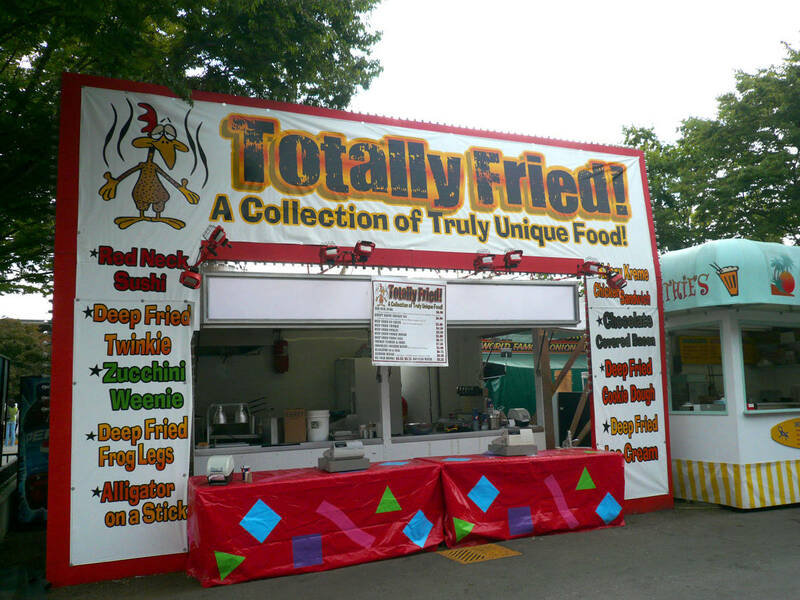 The website says “only at the Great New York State Fair.” That’s not even *kinda* true. 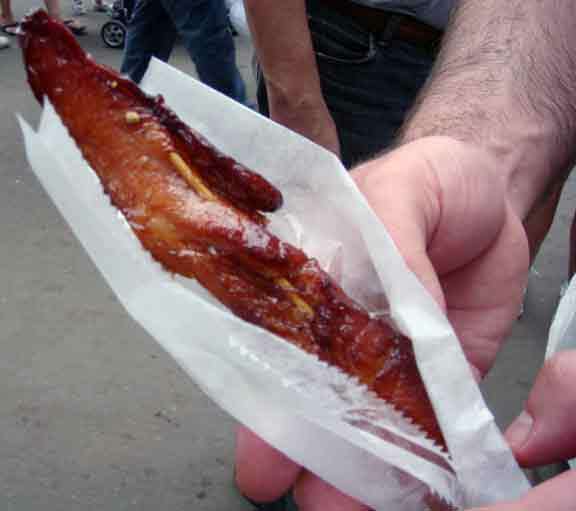 The Minnesota State Fair features “Walleye on a Stick”, an homage to the ubiquitous ichthyoid found in its 10,000 lakes. I’ll pass. 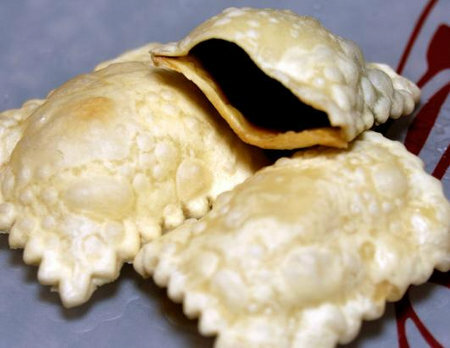 And, not to be outdone by any damn Yankees, the State Fair of Texas features Fried Beer™, a ravioli-like pastry that spills out beer when bitten. Creator Mark Zable won Most Creative in the fair’s 2010 Big Tex Choice Awards concessionaire contest. Sounds like food purveyors across the nation are looking for new and innovative ways to kill us all. Big Fat Bacon. This doesn't look all that bad, actually. 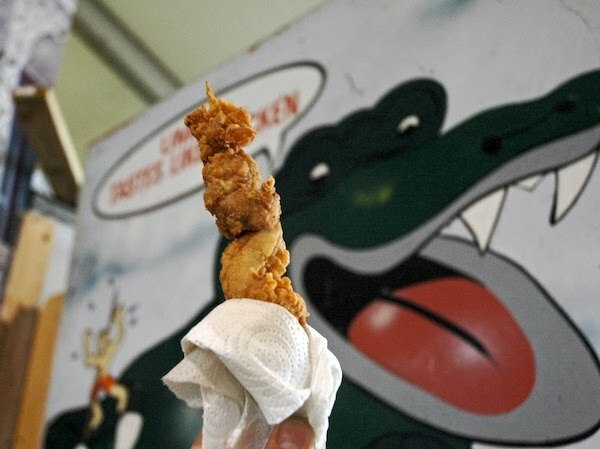 Fried Alligator Leg. No thank you. 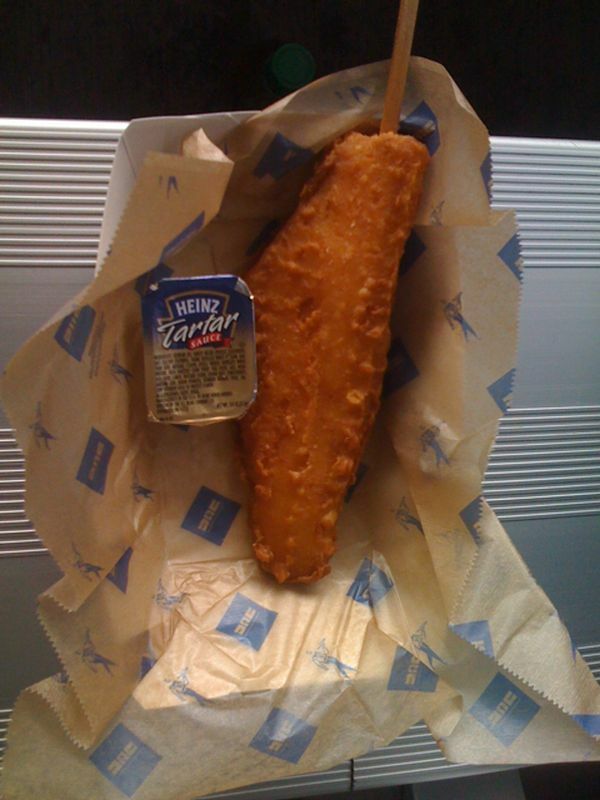 This is what fried beer looks like. Now you know. I read this post while eating breakfast. Big mistake! 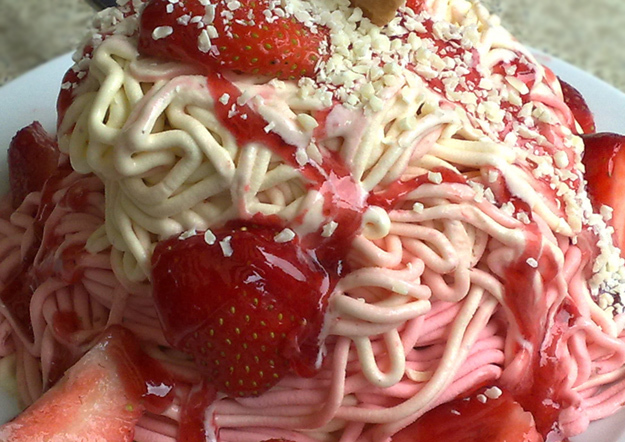 Even without pictures, it kinda turned my stomach! I fixed that. Now there are pictures!